One of the priciest bottles of alcohol out there somehow made its way into an Costco warehouse store in Arizona. 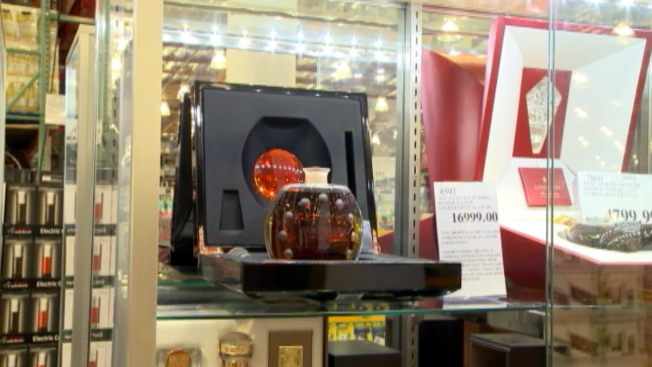 The bottle of Macallan Lalique 60 Year Old Single Malt Scotch is a bargain at $17,000 - a $6,000 discount. It's one of just 400 bottles made, and 72 for sale in the United States, according to media reports. On Macallan's website, the distiller describes the 60-year-old variety's sweet, complex flavors: "cinnamon, toasted apple and lemon intertwined with blackcurrant leaf and polished oak, all encompassed by peat." The drink has some fire to it - it's 53.2 percent alcohol by volume. Savvy - and wealthy - Scotch enthusiasts would usually have to hunt down bottles of the precious stuff at specialty retailers. Vines Wine & Spirits in Orlando, Fla. is one such place. The shop sometimes has a bottle or two on hand, but just sold its last two for about $23,000 each, employee Wyatt Toul told NBC4 on Monday. The retailer's only more expensive beverage is its 62-year-old Macallan, which goes for about $25,000 per bottle. It's not the first time Costco has offered something with an astounding price tag. The retailer made headlines when it offered a $1 million diamond engagement ring. On Monday afternoon, Costco had a $39,000 engagement ring for sale online.